I’m a qualified music teacher (Licentiate Music Teaching Diploma Level 6 LTDip. ), Pass with Merit and ABRSM grade 8 Piano, grade 8 Singing and grade 7 Music Theory. Check distance before contacting me please. A very experienced teacher. I have been teaching to different ages, races in different countries. Many many students have passed their exams. I also teach Chinese at the same prices. Up to GCSE and A levels. Basicly at my home in Broxbourne, Hertfordshire. £30/hour, £15/30 min. One to One lesson. YanFrom Reiss (5/5): Yan helped me a lot to improve my singing and piano playing for an audition. She was always very prepared every week with notes and resources, and regularly sent me videos and weblinks to help develop my playing. Thanks for everything! 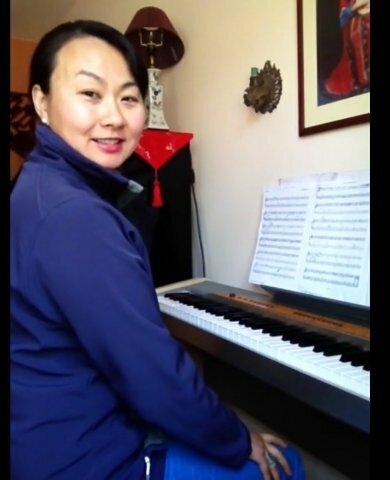 YanFrom Lee Cheng (5/5): My 5Y son had 3 times piano lessons with Mrs . Yan so far . She is very nice and patient . Also having creative way for young children . I am so happy with her . YanFrom Emily (5/5): I needed a singing tutor for my daughter, and yan is great for her. She is friendly, and encourages my daughter . She also set songs for her to learn in her own time, and continues to improve on the songs she has already learnt. My daughter is happy so I'm happy.